What guitar styles are there? After reading this article you’ll know about nearly every type of guitar that exists. 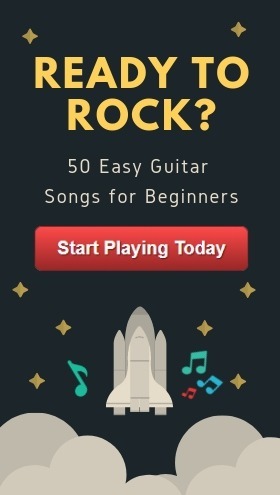 Of course, we can’t cover everything and will probably miss a few completely obscure guitar types, but you’ll know enough to make a dent in your next game of “guitar trivia” with friends. We’ll cover the basics: Steel-stringed acoustic guitars, electric guitars, and twelve-string guitars. Then we’ll dive into the really interesting stuff: multi-neck guitars, resonator guitars, and guitar shaped like things you never knew existed. Let’s get going! 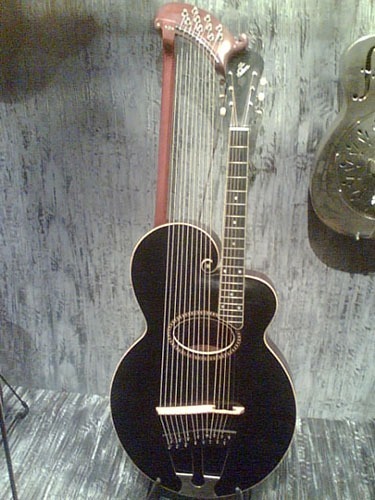 The most interesting and unique types of guitars that exist out in the world today are resonator guitars, multi-neck guitars, upright bass guitars, archtop guitars, and last but not least, harp and touch guitars. Then, of course, there are your standard acoustic, classical, electric, and bass guitars. To really start things off with a bang, we’re going to look at some obscure and really cool-looking guitars you might not have known existed. 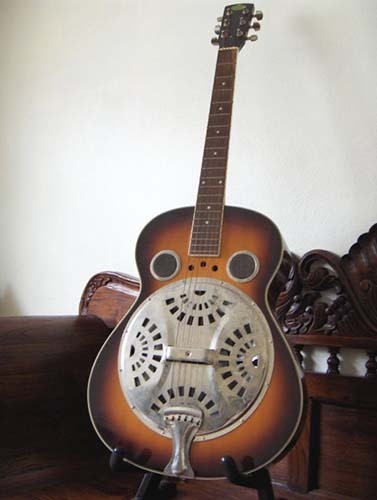 Resonator guitars (also known as “resophonic guitars”) were originally built to be louder than regular acoustic guitars. This was primarily because when regular acoustics were played in an orchestra setting, their volume was overpowered by brass instruments and percussion. Of course, nowadays we have electric-acoustic guitars that can be plugged into an amplifier, but this was a big problem a century ago. Today resonators are widely used in the blues and bluegrass because of the distinctive tone they make. Multi-neck guitars are really quite something. 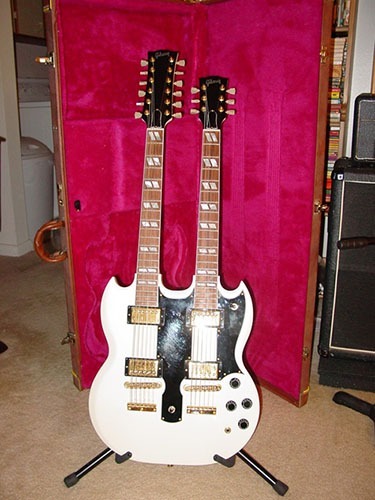 While double neck guitars are the most common type of “multi-neck” available, there are also triple, quad, and even five neck guitars out there in the world. 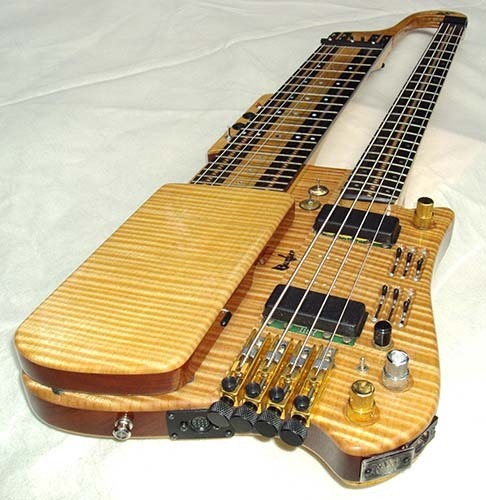 When I first heard about a custom-built five-neck guitar, it blew my mind. Just like the Gibson EDS-1275 shown in the image above, the most common type of multi-neck guitar seen today is the electric double-neck guitar. The first neck has 12 strings and the second neck has 6 strings. While that is the most popular combination, the second most widely used customization for double-necks is to use one neck as a bass guitar (4-string) and the other as an acoustic guitar (6-string). Ask anyone who has played a multi-neck about their experience, and one of the first things you’ll hear is weight and convenience. The more necks your guitar has, the heavier the guitar will be (not to mention more uncomfortable to play). The only way to manage this is practice, practice, practice! Electric upright bass guitars (also known as an amplified double bass) have a very thin, minimal body making them easy to carry and a lot lighter than their acoustic counterparts. We’ll only be covering electric upright bass guitars here for now, due to their interesting sleek design and thin shape. 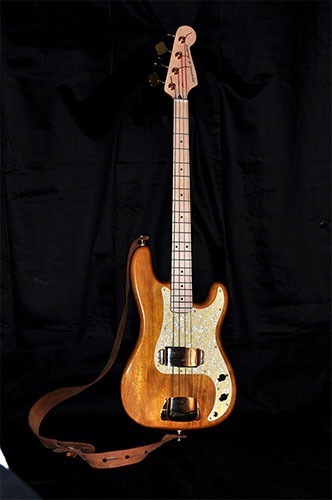 Similar to most other guitar types, upright basses also come in solid-body and hollow-body variations. Solid-body upright bass guitars, as their name suggests, don’t have any hollow enclosure. As a result, they make zero acoustic sound and have to rely on an amplifier for both practice and performances. Their hollow-body counterparts, on the other hand, do have a small wooden enclosure that can produce an acoustic tone. This is useful for practicing since you can practice on your hollow-body upright bass and not need to plug into an amplifier. The thing is, as soon as you need to perform or play louder, you’ll still need to connect your hollow-body to an amplifier to avoid being overpowered by external noise. All in all, upright bass guitars are awesome instruments with a very unique playstyle. “Archtop Guitars”, as their name suggests, have a distinct arched back and arched top. Compare this with regular guitars whose front and back are completely flat (flat tops). Archtops are popular with guitarists who play genres like psychobilly, rockabilly, blues, and jazz. They’re typically semiacoustic or acoustic guitars with hollow-bodies. 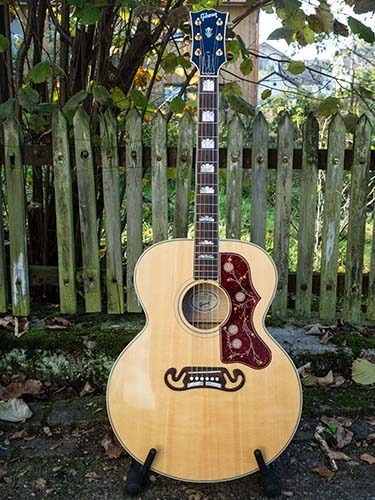 If you take a close look at the image above of the Gibson Super 400 CES Archtop, you’ll notice the slight bending “arch” on the front of the guitar. Even though it’s only a very subtle difference when you compare archtops with your typical flat-top guitars, the production styles are significantly different. The belly (top) and back of an archtop guitar can either be heat-pressed or carved out of a solid block of wood. As you’d imagine, heat-pressing is much less expensive than carving a hollow-body from a solid block of wood. This is one of those guitar types not many people know exists. Harp guitars are essentially a combination of a regular guitar neck with fretted strings, and then an additional “harp section” on the side with a series of open unstopped strings. The Gibson Style U shown above has 10 harp strings to the left of the original guitar neck that can be plucked and/or strummed like a harp - pretty intriguing if you ask me! The number of open unstopped strings is what determines whether a guitar is a “harp guitar”, by its official definition. If you take a regular guitar and add even one extra unstopped string to the side, you’ve just created a harp guitar. Have you ever seen the movie “August Rush”? There’s that iconic scene where young August creates beautiful music on the fly without strumming, just by tapping the fretboard. In essence, that’s what touch guitars are. This family of guitars is designed for fretboard tapping or “touching” rather than strumming. And the great thing is, they also come in multi-neck variations as we discussed earlier. 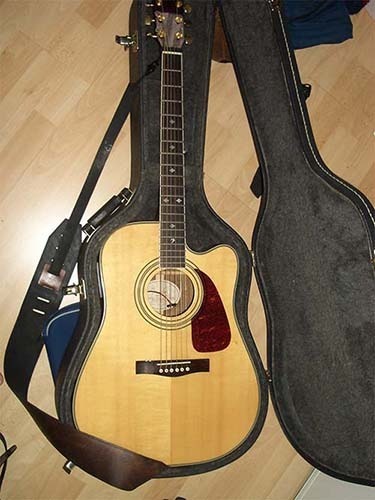 The image above shows a Double Neck Headless Touch Guitar. Banjos are very interesting instruments. They typically come in three different string-variations, having four, five, or six strings depending on the model. The key to the Banjo’s sound is in the very thin membrane that’s pulled over the main resonator cavity. If you look at the image above, you’ll see a white piece of plastic being used as the resonator. In past centuries, instead of using a thin manufactured sheet of plastic like we do today, they pulled a thin layer of animal skin over the resonator cavity. This gave the banjo its unique tone and let the musician work his magic across the fretboard. A mandolin is a guitar that’s part of the lute family and is typically played with a guitar pick. You’ll often find 8 strings on your typical mandolin, with each pair of strings tuned in unison (essentially, it’ll have 4 “courses” of strings). There are also 10 string (5 courses) and 12 string (6 courses) mandolins that exist. Before mandolins were invented, musicians would find themselves playing lute-like instruments with six courses of strings, where the strings were made from animal parts (i.e. intestines). Since these strings were softer, the sound they produced wasn’t very loud -- you wouldn’t be able to hear one of these lutes from any sort of distance. And that’s where steel-stringed mandolins came in. Since mandolins are played with a pick and their steel strings hold significant tension, they’re noticeably louder than their earlier “gut-string” counterparts. Not only that, but a mandolin’s soundboard is reinforced to easily handle the tension of several steel strings. Earlier instruments would immediately snap if you tried to string it with steel. 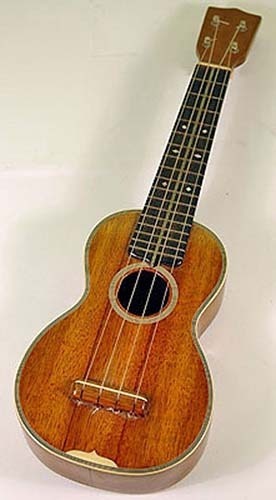 Ukuleles originally came about in the 19th century as an adaptation from the Portuguese machete, which is a small instrument containing four metal strings. As Portuguese immigrants came into Hawaii, they brought these small instruments resembling a miniature guitar along with them. Ukuleles are intriguing in that they are also a part of the lute family, and are typically strung with softer strings made from materials like gut (animal intestine) or nylon. Even though they usually have four strings, a better way to describe it would be four “courses” of strings. Each course could be paired with two or even three strings. When I was first introduced to Ukuleles I had no clue that they came in four different sizes: baritone ukulele, tenor ukulele, concert ukulele, and finally, the soprano ukulele. I also didn’t know that “ukulele” roughly translated into Hawaiian means “jumping flea”. Perhaps it was named this way because of the way a musician’s fingers tend to “jump” around on the fretboard. This is your typical “acoustic guitar” with a key difference: its steel strings. If this acoustic would’ve had nylon strings, it would be called a classical guitar. This is a very subtle difference, nylon vs. steel-string acoustics… which is exactly why people tend to call them just “acoustic guitars” for short. You rarely hear someone go more specific than that and say “classical guitar” or “steel-string acoustic guitar” unless they’re specifically looking for classical guitars in order to play in that style. Compared to nylon-strung classical guitars, the steel-string acoustic has a much brighter sound and plays louder due to its greater string tension. There’s nothing profound with acoustic-electric guitars, aside from the fact that it allowed regular acoustics to finally be heard in band/orchestra/live performance settings through the addition of pickups. 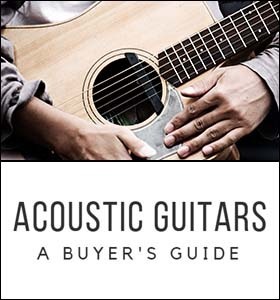 That’s right, the single difference between your regular acoustic guitar and an acoustic-electric guitar are the pickups (where the pickups can be a microphone, a piezoelectric pickup, or a magnetic pickup). After plugging this guitar into an amplifier you can freely adjust its volume and hear every tone in its full glory. 12-string guitars typically have 12 strings paired in six “courses”, giving them a much richer sound with a slight ring to it. If you play a 12-string side by side with a 6-string the difference in tone is distinctly noticeable. To put it simply, 12-string guitars are essentially 6-string guitars with two strings plucked simultaneously instead of one. That’s not the only thing that gives them their richer sound, however. A 12-string guitar’s sound quality actually comes from the fact that certain strings are tuned an octave apart from one another, allowing more notes in the mix. That’s what actually makes your regular 12-string sound so good. When we say the term “steel guitar”, this can mean one of two things: (1) A special type of guitar that’s built to be played in “steel guitar fashion” or (2) The steel guitar method itself played using the “slide technique”. If you look at the image above, that’s a steel guitar meant to be played like a steel guitar. It’s positioned horizontally, uses one hand to pluck strings, and uses the other hand to change the pitch of multiple strings using a slide. 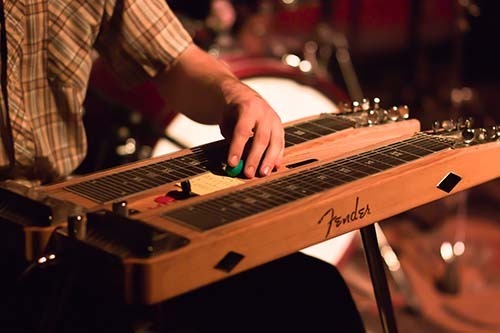 The steel guitar method of playing, on the other hand, involves placing a regular guitar (such as a resonator guitar, for example) down horizontally, and then using one hand for plucking and the other for sliding. The good old electric guitar. We’re all very familiar with these. 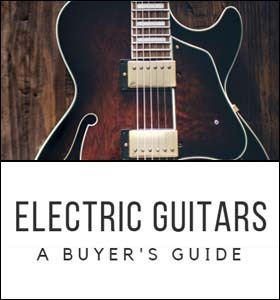 Electric guitars convert string vibrations into electrical signals using pickups, and ultimately outputting a sound through an amplifier into an extenral speaker. They’re typically solid-body, meaning there’s no resonating cavity. What this means is, you can’t really play an electric guitar without an amplifier/speaker and expect to hear anything. You might very faintly hear what you’re playing, but with any background noise it’d be pointless. Solid-body electrics are meant to be played 100% with an amplifier. There are certain electric guitars that have a small resonating cavity (slightly hollow-body); these you can hear without an amplifier, meaning you could practice on these electrics whenever you’d like. 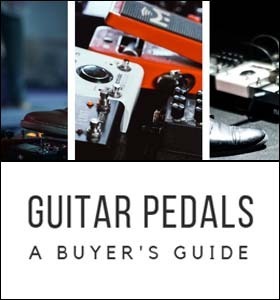 One of the best parts of playing electric guitar is the vast range of guitar effects pedals available to you. You can have pedals that provide reverb, chorus, wah, equalizer, and many more. Bass guitars are another very popular instrument we see day to day. Compared to an electric guitar, bass guitars have a longer scale length and a longer neck. Different models can vary between 4 and 6 strings. 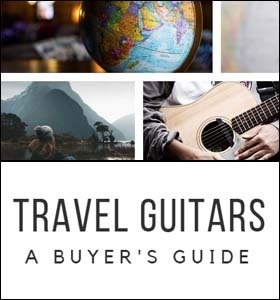 ​We talked about the different types of guitars you can find out there in the world today (including some pretty bizarre, obscure ones), but what about the different styles of guitar music you can play? Well, first there’s slide guitar. Just like the steel guitar we mentioned above, playing slide guitar is just like that, with a mix of plucking and sliding up and down the fretboard with a physica slide to change pitch. Another common style is the blues. Blues music is fairly melancholy, slow, and can be classified as “sad” if you were to put an emotion on it. Of course, not all blues music is sad, but if asked to sum it up in one word, that’s likely the first thing most people would say. Bluegrass guitar is another interesting style characterized by a fast tempo and deep American roots. If you look up to our resonating guitar in the list above, you’ll notice we mention bluegrass. This is because resonating guitars are very commonly used to play bluegrass walking bass lines. Then there’s fingerstyle guitar. Fingerstyle is played by plucking the strings one by one with your plucking hand and changing chords / notes simultaneously with the fretting hand. When done well, a great fingerpicker combines the bass line with the main melody and can recreate pieces of music with stunning accuracy. Those are only a few styles commonly played on guitar. Some other styles may have heard of would be: Flamenco, Folk, Jazz, Rhythm, Rock, Country, R&B, and Funk. And that’s all there is to it! Hopefully you found this educational and interesting at the same time. We started by talking about some obscure guitar models like the two-necked guitar, harp guitar, resonator guitar, and more. If this is you first time seeing some of these guitars (ones you never even thought existed prior to this), then know that you’re not alone. I was the same way, and my mind was literally almost blown away by some of the guitars people can play with absolute mastery. The important thing is, as always, to continue practicing and improving, no matter what type of guitar you call your primary.